So, how do you feel about church? Oh, not what you’re supposed to think or what you’re expected to say, but your honest, gut reaction. I imagine you have some pretty solid opinions on the subject. If I asked you to tell me about it, you might mention the kid’s ministry or the worship time. Perhaps you’d tell me it’s not as important as it used to be. Or maybe you’d excitedly share about your small group or your favorite preacher. And I would probably nod and say, “I hear ya’!” because I’ve grown up in church and have my own settled beliefs on the subject. Truth is, if we posed that opening question to a roomful of Christians, the answers would probably be as varied as the number of people in the room. We Christians tend to be opinionated about church. We know what we like and what we don’t. (And sometimes we get a bit worked up about it too!) So, who’s right? Is church about the preaching? The music? The programs? The outreach? When we talk about church, it’s natural to become focused on what we do or don’t enjoy. But I wonder in all of the opinionating if perhaps we’ve overlooked something important—what church is not about. Church is not all about a single person. 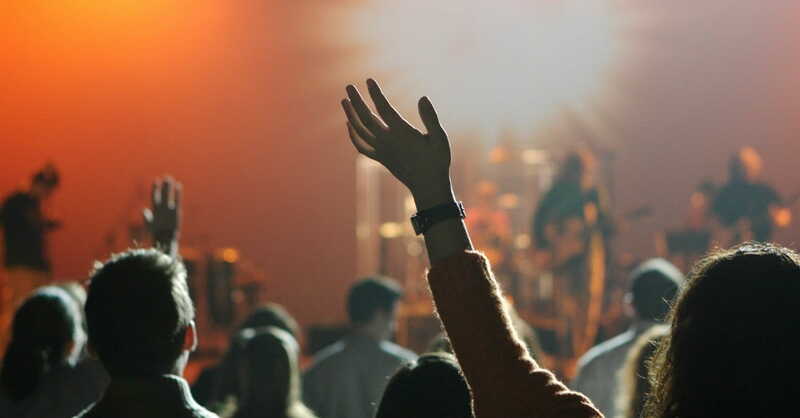 It’s not about the pastor, or the greeter, or the perfect worship leader. And truthfully, church isn’t even all about you! Church is not about finding a community of people who think the same way you do about every tiny detail. It’s not about finding a place where everyone has it all together all of the time. You can expect to find some broken, redeemed people who have differing opinions about the activities, the music, the way we should do such and such. You will find people with different gifts and abilities and thoughts about life. Church is not supposed to be a perfect, everybody’s-identical place. Let’s be honest. It’s fun to grab a vanilla latte on the way to your cushy theater seat in a nicely heated auditorium with a blow-your-hair-back sound system. We won’t complain that the kids thrive in the specialized kids’ program or that the new activity center is going to reach the community in a big way. But church is not about peripherals like the building, the programs, or the activities. Sure, those things are nice, but they’re just that – nice peripherals. There are many ways to worship Jesus and communicate the truth about Him. Some churches choose to show videos. Others wouldn’t be caught dead with a screen up front. Some give rousing concerts. Others don’t even use a single instrument. Hopefully you have a church that preaches God’s Word and creates an atmosphere where you can “grow in grace and the knowledge of our Lord and Savior Jesus Christ” (2 Peter 3:18). A place where you feel connected to God and at home with other believers at the same time. And a place where you hear from God often. But church is not the only place to hear from God. That’s one reason God lovingly preserved His Word for us—the Love Letter from the Author of Truth himself. God longs to show you more of Himself every single day. He is with you right now, ready to reveal more of Himself to you. While a church atmosphere and teaching may help, God loves to connect with you the other six days of the week too! Yup, He loves you that much. So, at church and all the days in between, may our focus be most on God’s truth and our hearts turned toward Jesus.